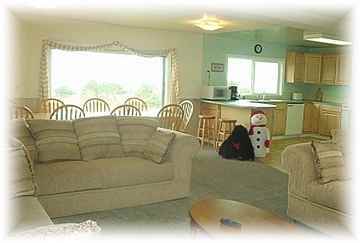 Sea Haven vacation rental in Lincoln City Oregon. One block to beach. Casino and shopping close by. Groups, reunions, retreats, church outings. Large groups and pets welcome. Discounts and specials. Third nights and last nights free most of year. Use e-mail contact form below - include arrival and departure dates and the number of adults and children. All rules and policies are subject to change, if you have a special request or can't fit your square peg in our round box, give us a call. 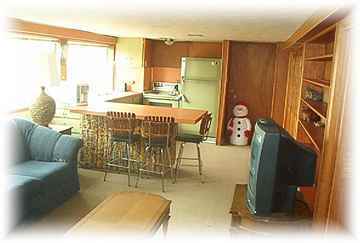 Here is some basic information about staying at our beach home. Please be aware that linens are not supplied, all beds have a bottom sheet and pillow only, everyone needs to bring their own sleeping bag or blanket. Nine months of the year we offer the 3rd night free. If you are unable to spend a third night, simply departing late, instead of noon, is a great way to end your outing and missing traffic. We must receive your deposit or rent to guarantee your date and price. <<< “If you want to reserve a date ask us to e-mail (or mail) our rental agreement to you, simply return it with your check.” or request credit card payment which adds a 3% fee >>> (When you request a rental agreement, we e-mail it to you, so you can reserve your date asap and get on with your vacation planning) To reserve a date we require a $250 security/cleaning deposit. The balance is due 45 (60 days for July and Aug. dates) days prior to your arrival. When we receive final full payment, we will mail to you the door key code and instructions. Within thirty days after your stay, $150 of the deposit will be refunded provided you leave the house in satisfactory condition. We charge the $100 to pay garbage service and a housecleaner-caretaker to do final cleaning after each group leaves. There is a short three hour window between our check out and check in times. This allows our guests to have more time and lower rates, and this is one reason why we ask guests to bring their own linens and help out. (Many local rentals have six hour or longer windows.) With a check in at 3 pm and check out at noon there is not enough time for a full cleaning service, so all groups must leave the house ready to go. 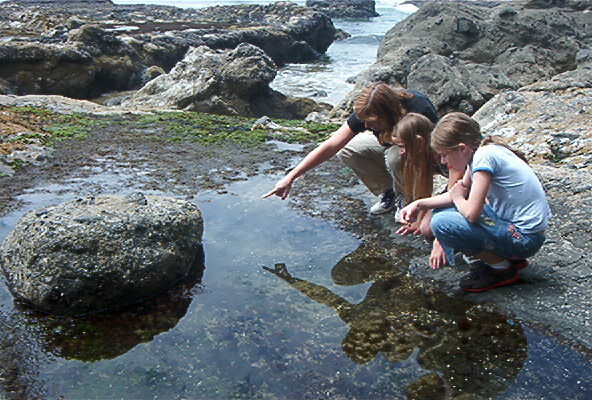 This program makes Sea Haven very affordable for large or small groups. On this note; rent is based upon the number of people listed on rental agreement, this income pays for the homes and we rely on everyone’s integrity to keep things going. We try to keep the calendar updated, but you should not rely on it for your plans. 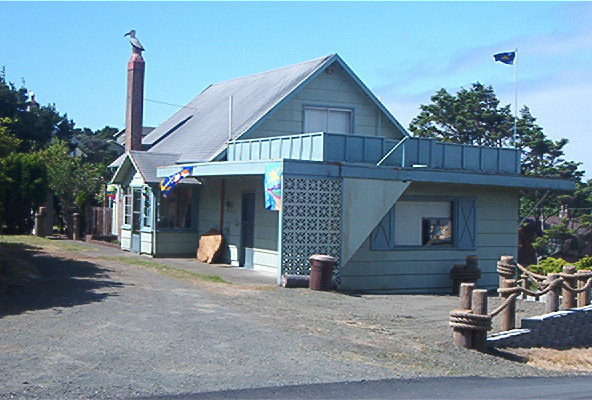 Sea Haven Cabin in Lincoln City is a vacation destination itself. 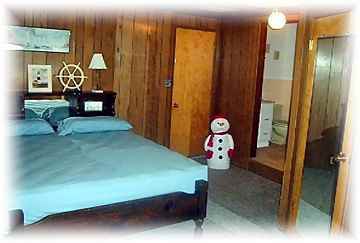 The property and home is inviting and comfortable, and has a nautical theme throughout. 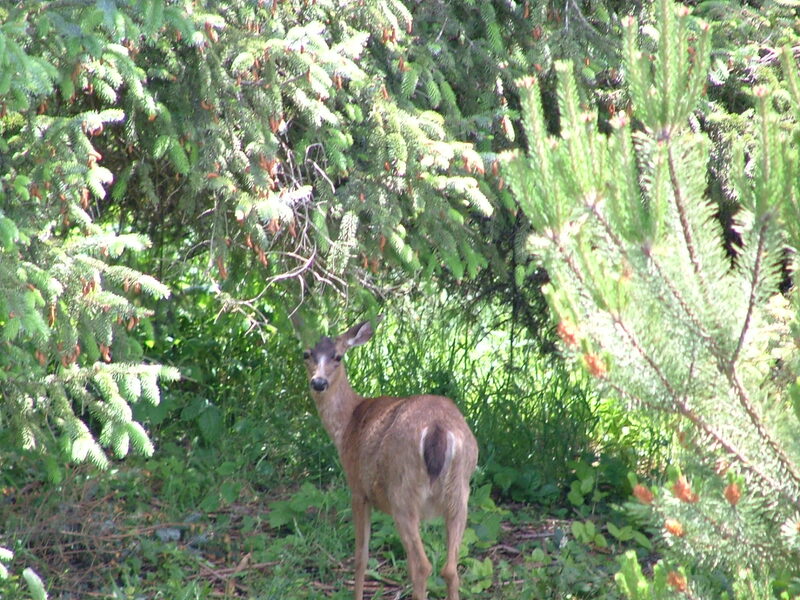 You may explore the area or just hang around the house. In either case Sea Haven is ideally suited for your needs. 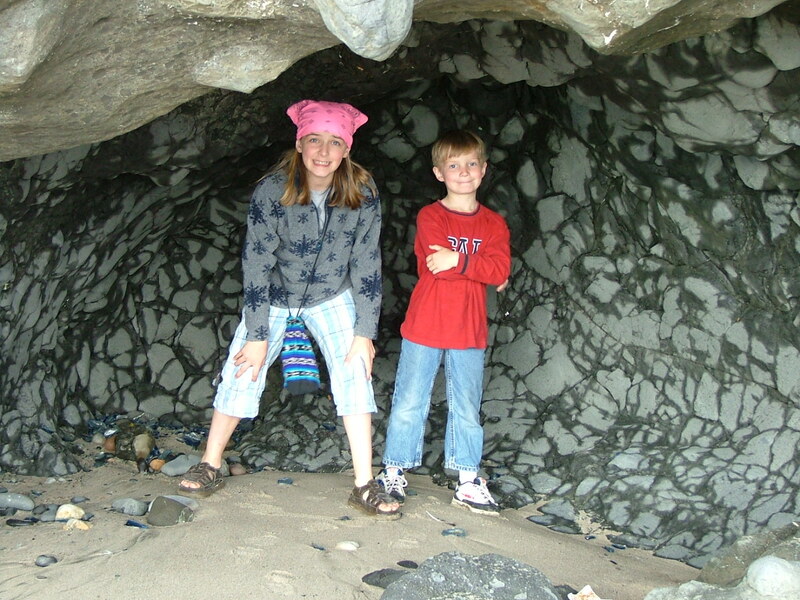 Sea Haven is in the Roads End area; very near Roads End State Park you will have quick and easy access to beaches. 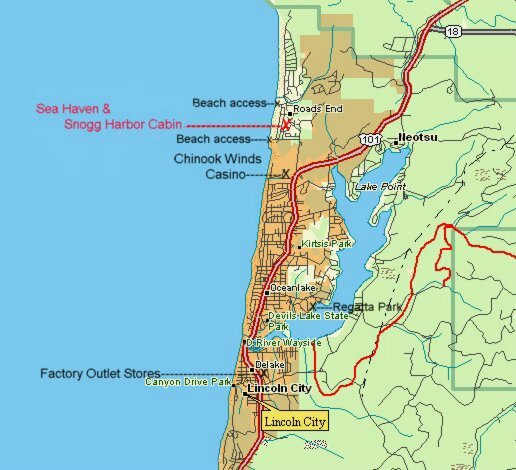 A short drive north or south and you can visit the Tillamook Cheese factory, Cape Kiwanda, The Oregon Aquarium, Factory outlet Stores, many golf courses, and of course The Chinook Winds Casino is only a quarter mile away. Sea Haven is about two blocks from the oceanfront. There is a panoramic ocean view to the horizon. 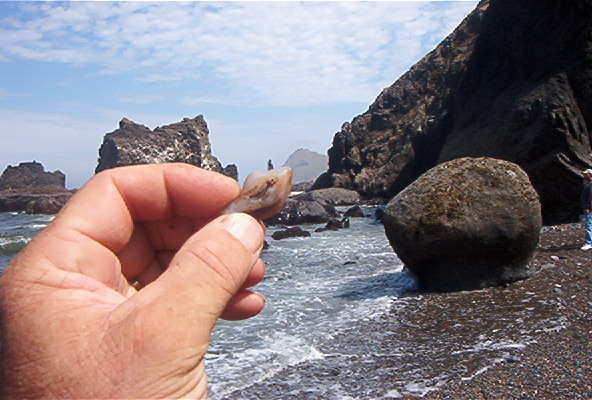 Whale’s spouts are visible during migrations; ships and boats can be seen night and day. 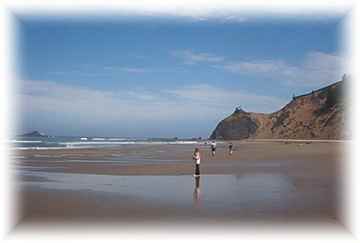 There are two beach access points about a five walk from the cabin or you can drive your car and park at numerous access points. You can park your car within a few feet of the front entry, and there are no steps to deal with. There is ample room for 6 or more vehicles in the driveway. 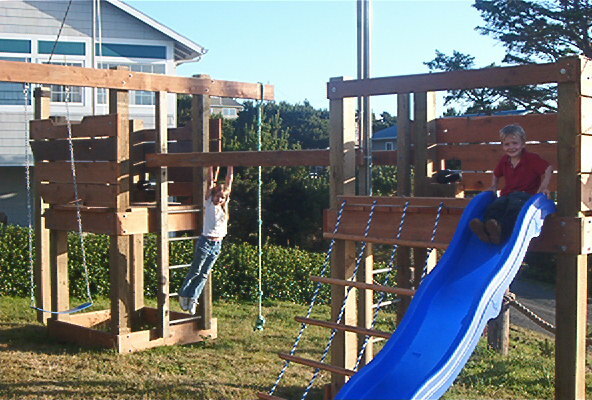 The entire property is over 1/3 acre and has flat lawn areas, we have a playground size children’s play structure complete with swings, slide, bars and ropes, and a sand box. Horseshoe and croquet areas are also set-aside in the yard. The house and yard offer both privacy from the neighbors and open views of the ocean. You will not feel uneasy or out of place at Sea Haven, from the moment you arrive you will feel at home. Off the living room is a private fenced terrace area for barbequing and sunbathing. 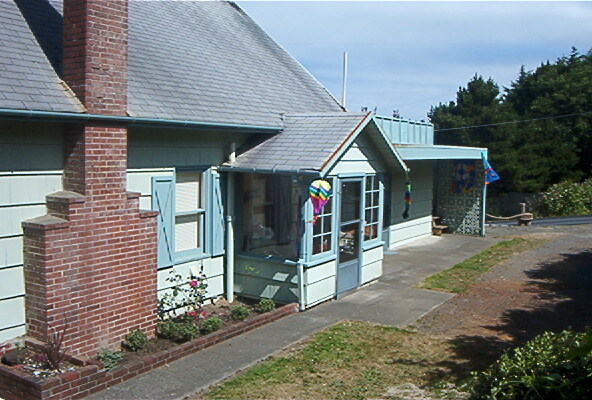 A large awning covers part of the terrace in the event it ever rains on the Oregon coast. 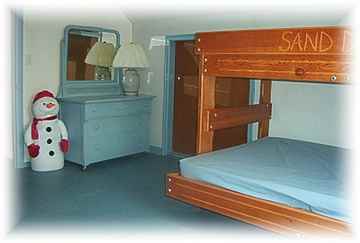 Sea Haven boasts lots of beds has two private master bedrooms with king-size beds, plus misc. other rooms with lots of double beds and single bunk beds. The house has six bedrooms (sleeps 20+) and three full bathrooms. Bedroom #1 on the main floor is a huge master bedroom, has a king size bed, and its own bath. Upstairs bedroom #2 has one double bed. Bedroom # 3 sleeps 6 and has two custom-made twin over double bunk beds. Bedroom #4 also sleeps 6 and has two custom made twin over double bunk beds. All three floors at Sea Haven have great Ocean views. Living room, the master bedroom downstairs has a king size bed and the other has one twin over twin bunk bed. If you have a large group, lots of couples, or teenagers who must have their own space and want to play on the foosball table, Sea Haven has the room you need. 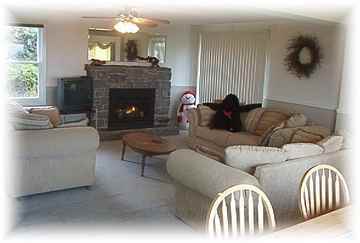 In the great room there are three sofas facing our stone fireplace with a gas insert. Just flick the switch for a romantic evening fire. The main level dining/great room floors have wide plank Cherry wood flooring; you can seat 10 to 12 at our long table. The kitchen has room for several cooks, lots of counter space, and is equipped with everything you need to prepare and serve meals while taking in the ocean views. The cupboards contain dishes for at least 20 people and the downstairs kitchen has a sink, stove and fridge. The local Safeway store is only a short distance away so you can run and get whatever you forgot to bring. Feel free to call us with your questions but remember reservations are primarily done via e-mail because we are not always home to take calls. 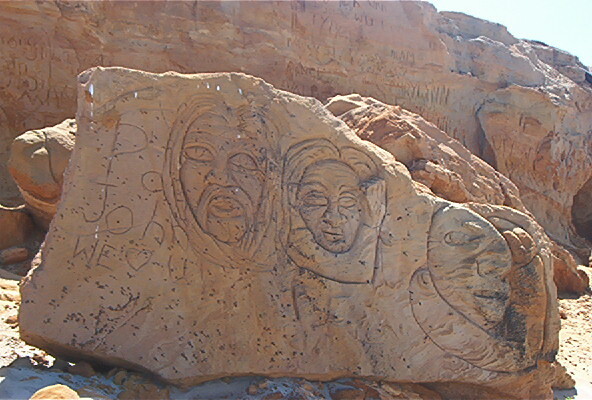 Thanks in advance, John & Linda Cummins 503 246 8002 - jhcumm at AOLdotcom or use contact form. If you are an old friend or guest, thanks for 20 years of good times. FYI, we have pulled Honalee and only rent Sea Haven, also our webmaster grew up and moved out so this blog is all I am equipped to manage, sorry.